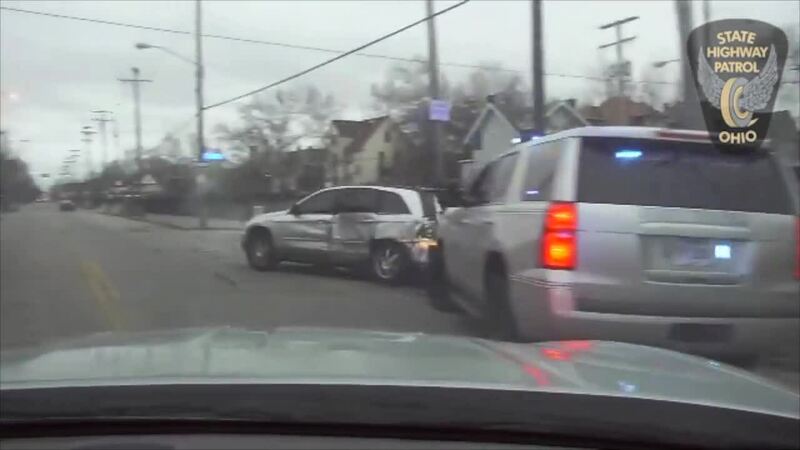 Ohio State Highway Troopers chased a woman through Cuyahoga County on Friday. Ohio State Highway Patrol chased a woman through the Cleveland area on Friday. Three cruisers were damaged in the process. Troopers said they attempted to pull over Imani Edwards on I-77 North for a window tint and a fake registration violation. Troopers chased her into Cleveland and was finally in a residential area when she crashed into a trooper's cruiser. Edwards is charged with felonious assault and failure to comply.